If you were thinking about getting your hands on an Apple Watch this holiday season, Best Buy has just the deal for you. The retailer is cutting $100 off the price of all Apple Watch models. This past Black Friday, a time when the Apple Watch seems to have reached its peak popularity, Best Buy offered a similar $100 price cut for the Apple Watch, although that promotion was limited to the more expensive Apple Watch models. This time around, the price cut is applied to all models of the wearable, which means that you can get your hands on the 38mm Apple Watch Sport for a cent under $250. Although other retailers - such as Target and B&H - are offering deals of their own on the Apple Watch, none of them matches the $100 discount offered by Best Buy. Needless to say, if you're thinking about getting Apple's wearable at this discounted price, make sure to read our Apple Watch review before committing to a purchase. This price reduction comes at an interesting point. Just yesterday, rumors suggested that Apple will introduce a new and significantly improved version of the Apple Watch as early as this next March. What do you guys think of Best Buy's Apple Watch deal? Is the entry-level Apple Watch worth $250 in your perception? Sounds more like a case of the current watch not going, next watch is at least 5-6 months out. This is probably the first actual price cut on an Apple product in years instead of just a gift card tie in or whatever. Read: Best Buy... But who knows, I'm not going to argue since the only thing I've seen are reports that the Watch is outselling everything else... If that's "not going" then what is? Bigger sales does not mean better Watch. Outselling things that aren't selling isn't a metric to go by. When Apple refuses to trumpet numbers, it's because they're not good. It isn't a success until it has paid off its own investment and met most of its own profit targets. Apple under Cook is very Wall Street conscious and wants to keep investors happy. If the Watch doesn't meet Apple's level of sales then their stock will suffer. Right now, a lot of Apple's sales strength and popularity is due to its former image as the undisputed king of design and popularity. Any cracks in that glowing armor can cause a crash if their reality shows through. Come on, use a bit of critical thinking and figure it out. I said "Apple under Cook" which easily implies that I am comparing it to Apple under Jobs (self reflection is also a great analysis tool). Jobs didn't give 1 s**t about what investors thought which is why he got fired in the first place. It was something that made Apple great because that allowed product and consumer to come before Wall Street vultures. Now it is the exact opposite and the effects are very obvious to those without their rose (gold?) colored goggles on. Even though you are right in principle and I agree 100%, Apple being the top company on stock exchanges means they are goign to be watched liek a hawk. Also means they know Apple's bahviour patterns even better than we do. We know whether a fan or not that when Apple has any major success with a release of a product, they make sure everyone knows about it. That fact they have release any sales deatils for a product that has been on sale for several months is a key indicator that the sales are slower than expected. You can claim whetever you want. It has nothign to do with fans and people are showing with their wallets by not buying them. In fact, there is word a class action lawsuit is being planeed against Apple for its false advertsing claiming how accurate the fitness tracker is on the Apple Watch and people have stated it is way way off. Where people who know their own bodies know that afetr a work out their heart is beating at over 100bpm and yet the "watch" is claiming 1/2 that. Come on man. Forget about what fans are saying. Aren't you a fan? if so, you need to stand by your product good or bad. When its good be happy, when its not then you should be fair and reasonable. They're not selling many. I'm saying that beating their numbers doesn't make for a success. I'm also saying that if the watch were selling well, Apple would be crowing them, not hiding them under miscellaneous. Dude he knows when Apple has blinding sales, they announce in a heartbeat. Apple sold 75M iPhones and you heard about it for weaks, even though Samsung had been selling 75M phones per quarter since the S3 was released and that number hasnt dropped below that. He is trying to find every reason to justify why Apple hasnt said anything and he knows as well as we do. Because they have sold more than a couple million to end users. That's not even considering how many were likely return for inaccurate fitness readings or buyers remorse. I am will to bet, for every 5 they sold 50% were return for various reasons with inaccuracies and buyers remorse begin the top 2 reasons. http://www.theverge.com/2015/11/2/9661280/fitbit-says-apple-watch-has-no-material-impact-on-sales-earnings Apple may have out-shipped other wearables, but they haven't outsold all of them. 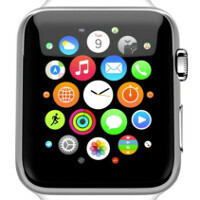 There have been lots of rumors that Apples second Smartwatch will arrive in March. So that is 3 months from now. 5-6 months from now would be May/June for the next version. If Apple sold high numbers then they would be the first to tell everyone how many they actually sold. Have you seen anyone wearing one? Also Fitbit stated the Apple Watch had no impact on it's sells whatsoever. Apple simply shipped more wearables than the other makers. Shipped/sold to retailers is not equal to sold to end users. Riht? I mean fair is fair. If Apple has sold roughly 6M to end users, I would like to know what States had the most sales, because here in Chicago I have yet to see one being worn. When I played with it at an Apple Store, I liked the idea and it feels/looks cool. But I see it as a very expensive piece of jewelry where its functions are too lame for the asking price and others see this too. The time I was their, I never saw a single person buy one. if they were $149 or less, I think they would sell like hotcakes. Considering it costs Apple less than $50 to have them made, $349+ is ridiculous. The $10,000 ones have less than a few ounces of real gold in the plating. That is the one that should be $349 tops. I've seen two people wearing one. But to be fair, I don't walk around looking at people's wrists. Just like how you could get an iPhone 6 or 6s at launch for free on T-Mobile and AT&T sales, even though they were the fastest selling phones out there. I mean look at the PlayStation 4, currently $300 on sale though it's been selling like hot cakes since launch currently sitting at 30 million sold. Or or or...it's the holidays and items go on sale just the iPad Air and Mini were on sale as well as MacBooks (which are continuing to sell very well despite the PC industry struggling). But, Apple controls the price of its products at all retailers, and typically doesn't offer discounts. Ever, until the new version is launched. Then why were the MacBooks $200 off at Best Buy but full price at Apple? Same with iPads. They likely weren't. They probably sold full price with a $250 Best Buy GC. But if they did, Apple approved the discount. define not selling well. Recent numbers suggest these things are hitting 10 million units sold. This has occurred in 8 months. If that not selling well, please show me an example of a brand new product category(electronic) that sold that much in the first 8 months of release. You can include Apple products as well. By the way, this is just a sale. The original iPhone had a permanent price drop shortly after release. I guess it was a flop as well lol! There are no recent numbers. Apple won't release them. They're guesses, and are based on shipments, not sales. Remember when shipped did not equal sold? On Black Friday, Taget was offering a $100 gift card if you purchased the Apple Watch at regular price. Because the Apple Watch doesn't have cellular capabilities, carriers are having a hard time selling them because they cant attach them to a plan. Because they could for example, offer the Apple Watch free to 6S Plus buyers who sign a 2 year on the watch for monthly payments and maybe 1/2 off to 6S buyers. But they cant because they cant tie it to ta phone plan like you can with the Gear S models. So the carriers have no incentive to lover the cost they paid for them because it would be a lose. Same for retailers. Just do the math. If a retailer like Best Buy, bought 1M of these at $349 each on average and they don't sell any until they drop the cost $100, think how much money they lose. But getting some money is better than what they are getting now which is almost none. The Gear S2 is definitely a better looking device, but it's too small. The face should have been a bit larger. I have small wrists so I think it's perfect. Not to mention big watches can look tacky. Depends how big you're talking. Fire sale! $249 to start is better, but still to high. $149.99 should be it's highest retail price. I am basing this on the original price of the Galaxy Gear which was 299.99 and didn't have wifi, or 3G capabilities. It required a phone to work. That device is now less than $150 brand new. since he Apple Watch is similar in capabilities, that should be its price, less than $150. I would gift 2 of them if they were $150. For $99 I would buy more, including one for myself. Considering the device doesn't have 3G, WiFi, UV, isn't waterproof, barely last a few hours, has no camera and isn't accurate when used for workouts, the price should be dropped considerably. $99-$149 would be an acceptable cost considering it has no features beyond what others had just a couple years ago. No one is hardly buying it after the initial release. The price is barring entry to market. No one is wearign v=even the $10,000 ones anymore. 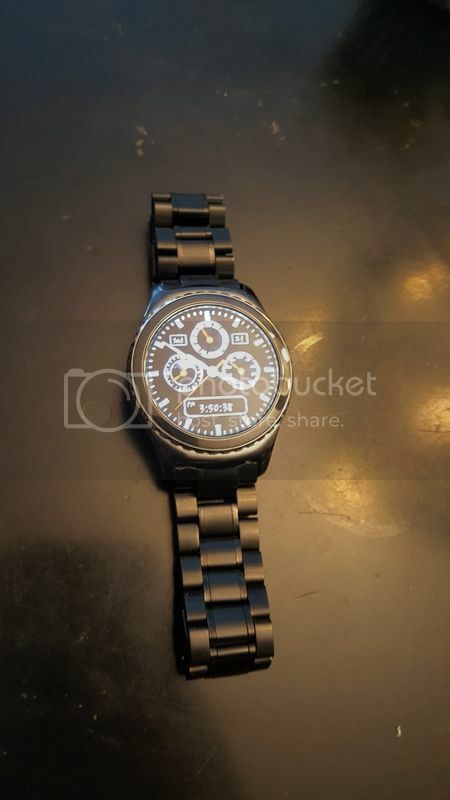 $10,000 Rolex -https://www.crownandcaliber.com/buy/rolex/rolex-p​resident-18038-erp12163?gclid=Cj0KEQiAv5-zBRCAzfWG​u-2jo70BEiQAj_F8oK_l18bQa43mhLoB2d-_xrk8PyXcA2pRIw​vyBfmircUaAjSd8P8HAQ $10,000 Apple Watch -http://www.bidnessetc.com/35270-would-you-buy-a-10000-apple-inc-watch-gold-edition/ See what's missing?